All Purchasing & Planning Professionals, Inventory Controllers, Material Planners, Warehouse Executive/ Manager, Accounts Executive/Manager, Production Executive/Manager, Logistic Executive/Manager and Personnel who want to develop Effective Inventory Management and Control Skills. At good times, inventory can helps your organization to generate more revenues and profits. At challenging times, inventory can contribute to lesser revenue or lower profit margin as well. 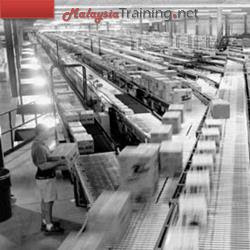 This is the typical headache of top management as well as warehouse and supply chain manager. However, this program will totally change your perspective about what inventory management is and how to optimize and leverage the inventory regardless of good times or challenging times. This program will assist you to have a new paradigm on managing inventory by having an in depth understanding on supply chain and demand chain in relation with inventory management. Once you understand the roles of inventory in the complete supply chain and demand chain, you can take proactive and result-oriented approach to manage the inventory. Even better, you can turn the inventory into “profit vehicle” for your organization. This program is designed specifically for warehouse, supply chain, purchasing, planning as well as supporting departments like finance, production, and logistics department. To benefit more from this program, it is recommended that few departments who are managing inventory to attend this integrated inventory management workshop. Since inventory is million, multi-million-dollar matter, so do not leave inventory management to chance. This practical-oriented and result-oriented program will save lots of money (in inventory), improve warehouse productivity, increase inventory turnover and become more competitive for your organization.